MicroEuropa Review 2019: Is MicroEuropa a Good Hosting? Portuguese hosting provider MicroEuropa’s stated aim is to be “More than a service provider; a customer partner!” I have some doubts, as you’ll discover. 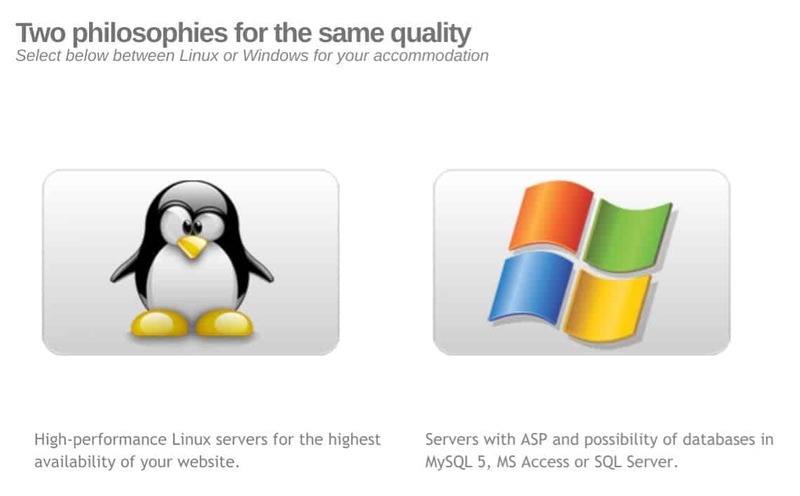 Since starting out in 1995, MicroEuropa now offers Linux and Windows hosting, dedicated servers and VPS, domain registration, and an extensive range of SSL certificates plus web design and programming solutions. MicroEuropa’s website is in Portuguese, but its knowledge base also supports English. These plans also provide daily statistics that give useful insights about your website visitors. With traffic/bandwidth monitoring, you can see when the network gets busier and when your site slows down, and – most importantly – find out why. So far, so good, but there is no indication of any uptime guarantee. In addition to the Linux hosting plans, MicroEuropa’s web page also advertises four Windows hosting plans, but it’s pretty much impossible to purchase them since the ‘order’ buttons lead to pages displaying the HTTP 404 (not found) error. You might have better luck buying one of the VPS or dedicated server plans that let you choose your Linux or Windows operating system flavor plus your preferred control panel (cPanel or Plesk). Other options include MicroEuropa’s WebShop package for e-commerce. To secure your site, MicroEuropa supplies a range of SSL certificates from the best brands including Comodo, Symantec, Verisign, GeoTrust, and Trustwave. It’s somewhat ironic since MicroEuropa’s own checkout process appears to be insecure (not HTTPS), at least until you get to the point of entering your credit card details. MicroEuropa’s euro-priced shared Linux hosting plans are pretty cheap. The displayed monthly prices are based on a two-year term, but (depending on the plan) you can choose alternative billing cycles from monthly to biennially. International customers can pay for plans by bank transfer, PayPal, or credit card. Portuguese customers have additional options including postal payment, check, or Multibanco. Customer services can be contacted by telephone, ticket system, email, and fax. You can also access live support (via the knowledge base), but it was offline when I wanted to use it. My exploratory email failed to elicit any response from this provider, which may be because I’m not yet an active customer. However, I do also have some slight concerns about this company since the copyright notice on its website is dated 1995-2008, which means (at best) it might not have moved on technologically since 2008 and (at worst) it may no longer be in business at all. MicroEuropa could be your preferred Portuguese provider for robust hosting plans backed by a wide range of SSL certificates. But I’d be more confident about this company if its website copyright notice extended beyond 2008, and if the Windows plans’ purchase buttons actually worked, and if my email had received a response. Get affordable Portuguese hosting plans from MicroEuropa. Wondering how MicroEuropa stacks up against other Web Hosting companies? Enter any other Web Hosting company and we will give you a side-by-side comparison.